When I was asked by Dr. Oetker to bake one of their Chocolate Indulgence recipes. I chose these Marbled Chocolate Cheesecake Muffins. I love to bake muffins, they are easy to make and just the right size for a sweet treat with a cup of tea or coffee, I also often serve muffins instead of dessert and they are always welcomed. 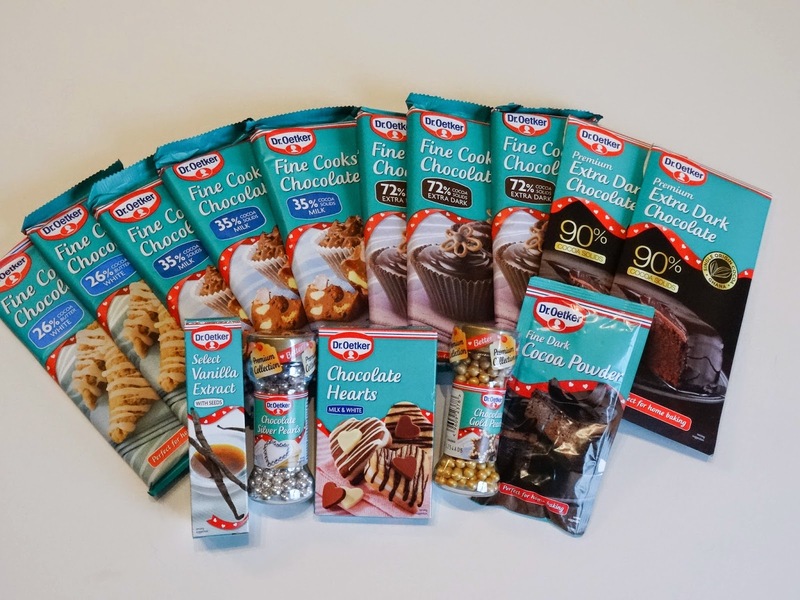 Dr. Oetker has a great range of products and tools to help you make a great chocolatey bake. They have several varieties of cooking chocolate, chocolate decorations and powders that make it so simple to make a tasty chocolatey bake. There are also lots of great recipes on the website to help inspire you. 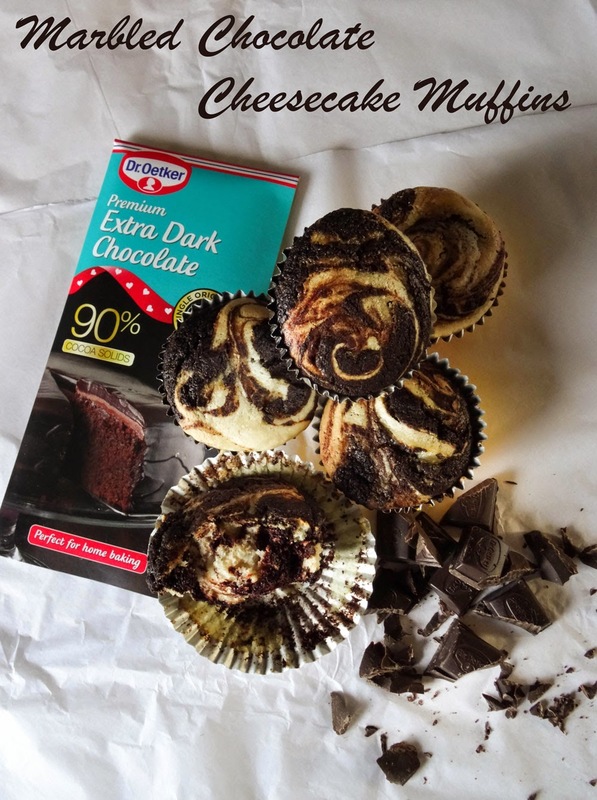 This March, Dr. Oetker want to celebrate all that is great and good about chocolate so are encouraging you to have some fun with chocolate and get experimental by trying new chocolatey bakes you’ve never attempted before. That way, you’ll get a handy practice run in March so you’re proud to share these new bakes at Easter with loved ones and friends. 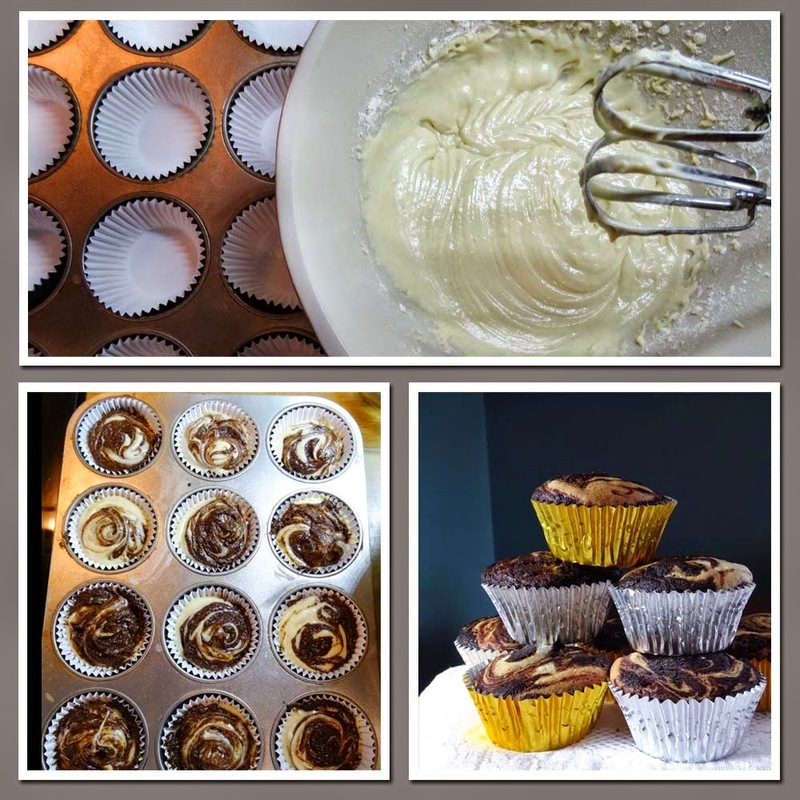 The muffins were very easy to make, you do need to make two different mixtures, one with the cream cheese the other with melted chocolate, then you swirl the two together to get the marbled effect. I liked that they are not too sweet and there is a definite cheesecake flavour. There are many more delicious recipes on the Dr. Oetker website for you to try. 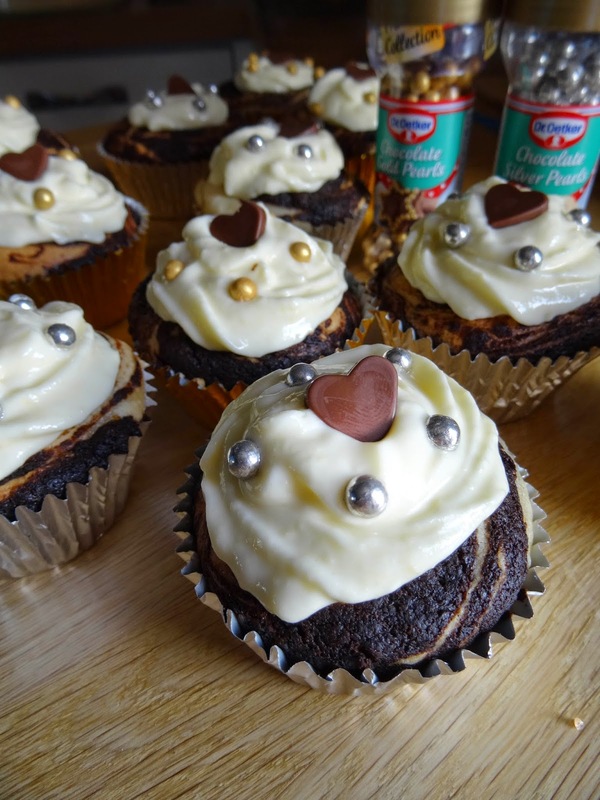 I couldn't resist using up the remaining cream cheese to make some Cream Cheese Frosting and decorating the muffins with Dr. Oetker Chocolate Hearts and Dr. Oetker Chocolate and Silver Pearls I took them into work to share them with my colleagues who were duly grateful! 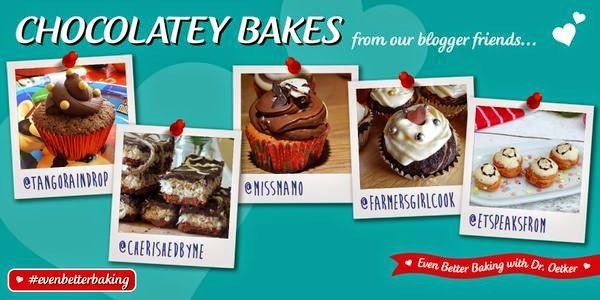 Dr. Oetker is encouraging bakers to celebrate chocolate by making a yummy chocolate bake and believes that chocolate tastes even better when you share it, so they want to know who you’ll be sharing your chocolate bake with. They look great all decorated up, I can imagine the cheesecakey taste, yum! Mmmm these look scrummy! Love the contrast in colours. Thank you, the icing definitely added to the cheesecake flavour. Thanks Lorraine, they are very like Black Bottom Cupcakes, but mixed up! Thanks Elizabeth, marbled cakes are always a winner.